Preferred Vendors — Intero Real Estate Services, Inc.
Our mission is to make the car buying & leasing experience as easy and fun as possible! We are consultants: a one-stop-shop where you can compare vehicles and available lease and financing options across all brands. Why run from dealer to dealer to compare vehicles or to get the best lease or purchase price, when we can tell you with just one visit! We have been in business since 1994, building our clientele and our phenomenal reputation as "the premiere auto broker." Reputation is built on trust, and our clients trust that for our low flat fee, we get you the best deal, the best lease payment, or the best loan payment that exists, bar none. Hammer Auto is pleased to donate $100 to the Intero Foundation every time a member of the Intero family buys or leases with us. Geoffrey's Diamonds and Goldsmith was founded in 1984 and has served the San Carlos community for over 34 years. In 2013, the company entered its second generation with new ownership under Nikko Kandhari. Nikko and his team are passionate about fine jewelry and extraordinary customer service. This passion is the central philosophy of how Geoffrey's conducts business, and the central precept of this passion is Geoffrey's strong commitment to excellence in all aspects of our business. In August 2016, Geoffrey's Diamonds ventured to downtown Campbell with a brand-new location owned and operated by Aaron Peleg and William Cleek, both from the original San Carlos location. With a vast knowledge in diamonds, design and goldsmithing, the Geoffrey's team continues to bring their passion and commitment to excellent customer service to the South Bay. The Geoffrey's team includes numerous certified GIA Gemologists, a jeweler, a diverse and deeply knowledgeable staff, and one fashionable Chihuahua named Robin. You can count on Ace Relocation Systems to provide your clients with the highest level of moving services available. Ace Relocation specializes in providing high-touch relocation services that take the guesswork out of planning a move, ensuring that each will be a success. Ace has provided quality, award-winning residential moving services for nearly 50 years. During that time our experienced, dedicated employees have moved over 350,000 happy families. Imagine having all your annual home maintenance items scheduled and completed with one call and in one day! Avoid costly home repairs. Service your major home systems. Protect your home and family from hidden home dangers like dryer vent fires and carbon and smoke alarm failures. Don’t spend all day calling multiple companies for bids and waiting around for a half dozen repairmen that you don't know or trust. Have it all done with one click or call and significant savings! Driveway Power Washing up to 400 sq. ft. Closing Gifts: Instead of or in conjunction with a home warranty, agents are giving the HomeSmiles Combo Interior/Exterior Service package to their clients as a closing gift. A HomeSmiles service performs all the required annual maintenance for a home in a single service appointment. A HomeSmiles closing gift shows that the agent understands the value of both their clients’ real estate needs and their clients time. The HomeSmiles service protects their clients’ home from deferred maintenance and keeps the home safe from hidden home dangers for their clients and family. A HomeSmiles service also provides peace of mind for clients since their home has been professionally maintained – giving their clients valuable time to spend with their family or pursue their passions. Referral Gifts: Agents know that referrals are their “bread and butter,” but how do you say “Thank you” for a referral. The gift of a HomeSmiles service is ideal. The gift of a HomeSmiles service conveys that you understand the need to maintain real estate in order to protect its value. It also shows that you are thinking outside the box and solving problems for your clients by taking care of their real estate needs while simultaneously giving them what they want-more time for themselves and their family. Schedule an appointment today: Call (888)764-5977 (1-888-SMILE11) or Visit www.HomeSmiles.com for more information. Amazon Smile donates 0.5% of the price of eligible purchases to the Intero Foundation. 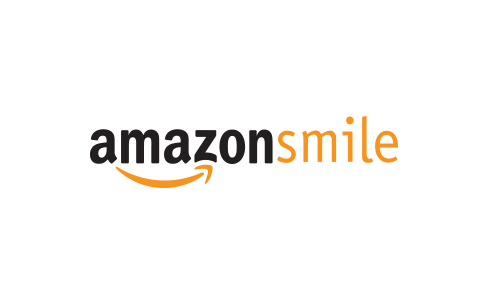 Simply click this link: smile.amazon.com/ch/87-0688284 and make sure the charity you select is the Intero Foundation. Then, you can use this link: smile.amazon.com for all of their Amazon shopping! Michael Hawk discovered his passion for photography almost 20 years ago, and has been striving to become the most unique and diverse photographer in Silicon Valley ever since. His style encompasses imagery that is fresh, fun, energetic, technical, and dramatic. Working with Michael is fun! He is professional, yet has a way of putting his clients at ease and bringing out the best in them in front of the lens. Delivering the most creative and artistic images possible, Michael has a breadth of experience across a wide range of photographic genres. It is this experience that allows him to solve problems and deliver images in unique, creative and refreshing ways. Michael Hawk will donate 10% of the business on Intero Photo Days directly to the Intero Foundation. Please contact Michael Hawk at 408-887-0532 to schedule an appointment!